The 14th International Conference on Catalysis in Membrane Reactors (ICCMR14) will be held from July 8–11, 2019 in Eindhoven, The Netherlands and it will be organized by the Eindhoven University of Technology, The Netherlands. We are editing a Special Issue "Catalysis in Membrane Reactors" which is being coordinated with the conference. All are welcome to submit papers to this Special Issue. The aim of the ICCMR conferences is to promote the research and progress in the area of catalytic membrane systems by bringing together academic scientists and industry working in the membrane, catalysis and process engineering fields. The meeting will highlight recent developments, bring new ideas, help making contacts and create a platform for discussion between academics and practitioners. We strongly believe that all the participants will have a great opportunity to make beneficial contacts and exchange ideas. The conference is addressed also to young researchers who will have a chance to interact closely with senior scientists. The scientific program will feature four motivating plenary lectures given by distinguished researchers, keynote lectures, oral presentations and poster sessions. Additionally, a special session devoted to presentation of research projects (EU, national, etc.) will be organized. Welcome to 5th Postgraduate Colloquium for Environmental Research 2019, to be held in Putrajaya, Malaysia, 8 August 2019. This international event is organized by the University of Nottingham Malaysia. 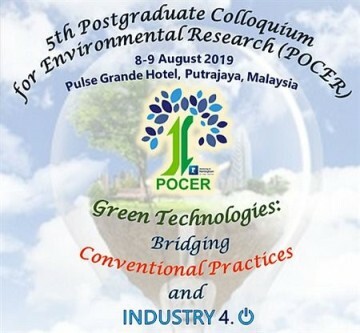 Theme: The theme for POCER 2019 is: "Green Technologies: Bridging Conventional Practices and Industry 4.0”. Any other topics related to environmental research. The 26th Regional Symposium on Chemical Engineering (RSCE 2019) will be held on 30–31st October 2019 in Kuala Lumpur, Malaysia. The symposium is organized by Department of Chemical Engineering, Faculty of Engineering, University of Malaya. The theme of the symposium is Role of Chemical Engineering in the Era of Industrial Revolution 4.0. This symposium is an ideal platform for researchers and practitioners to foster amiable networking, showcase recent developments and advancements, promote key ASEAN issues and influence global trends for a brighter future. We are delighted to invite you to the 1st. International Young Professionals Conference on Process Engineering (YCOPE 2019)! For three days, bright young minds are going to discuss future aspects of Process Engineering and contribute to the ongoing debate on how to find cutting-edge solutions to the process industry. The conference will be held on March 18 - March 20, 2019 at the Max Planck Institute for Dynamics of Complex Technical Systems (MPI) in Magdeburg, Germany. Welcome to the 29th Inter-American Congress of Chemical Engineering incorporating the 68th Canadian Chemical Engineering Conference, to be held in Toronto, Ontario, October 28–31, 2018. This international event is co-organized by the University of Toronto, Ryerson University and the Canadian Society for Chemical Engineering. Over 80 professionals from academia, industry, and government within Canada and abroad support the organizing committee. We anticipate up to 1,500 delegates from over 40 countries will attend the conference. The conference aims to address the big challenges that the world is facing in the area of human health, sustainable energy, natural resources, globalization and the environment. Central to the conference is the technical program that consists of over 1,000 oral and poster presentations, including five plenary lectures given by distinguished speakers, including the winners of the R.S. Jane Memorial Award, the J.S. Oldshue Award and the Montreal Medal. There are seven international symposia on topical subjects, with three to honor internationally renowned Canadian pioneers in lignocellulosic resources David Goring, environmental science Don Mackay and biomedical engineering Mike Sefton. Moreover, ten technical tracks are organized, reflecting the diversity of chemical engineering discipline and showcasing the advances in traditional and emerging chemical engineering fields. In addition, six special sessions are created, including one on “Modern Engineering Education” and two led by industry champions, on “Process Safety Management” and “Products and Processes for a Circular Economy”, respectively. Unique to this conference is the “Chemical Engineering Research in Latin America”—a session to be held in Portuguese/Spanish. The “Emerging Leaders Forum” will feature four early career researchers, recognizing their contributions, vision and leadership in their respective fields. We are editing a Special Issue "Process Systems Engineering a la Canada" which is being coordinated with the conference. All are welcome to submit papers to this Special Issue. The Seventh International Conference on Foundations of Systems Biology in Engineering (FOSBE 2018), sponsored by the CACHE Corporation, will address challenges and opportunities in systems biology research and education. FOSBE 2018 will continue the series of successful conferences previously held in Santa Barbara, CA (August, 2005), Stuttgart, Germany (September, 2007), Denver, CO (August 2009), Tsuruoka, Japan (October 2012), Boston (August 2015), and Magdeburg, Germany (October 2016). The primary objectives of the FOSBE 2018 conference will be to provide an in-depth review and critical assessment of the current state-of-the-art, to discuss current and future needs of research, education, and training, and translation to practice, and to identify new directions, opportunities, and challenges in systems biology. MDPI will be attending the PSE2018 conference. PSE2018 is part of a series of conferences on Process Systems Engineering held every three years, rotating between Asia, Europe, and North and South America. The high quality scientific program will cover advances in core PSE topics and cross-cutting themes. The role, contributions, and future directions of PSE research addressing challenges in energy, water, manufacturing, sustainable environment, and health will be highlighted. The Metabolic Engineering Conference is the world-leading conference to share premium developments and achievements in the field. The theme of this year's conference is systems metabolic engineering for superior bio-production. The conference is chaired by Christoph Wittmann and Oskar Zelder. Please come along to our booth (#206) to chat with our delegates about our journals. Our delegates will also answer any questions about online publishing and our journals. We look forward to meeting you in person in Edmonton! On behalf of the organizers, we would like to warmly invite you to attend the 6th International Conference on Population Balance Modelling (PBM2018) to be held in Ghent, Belgium during 7 – 9 May 2018. This conference aims at bring together researches and practitioners with diverse backgrounds to allow exchange of ideas across various sub-fields that use population balances, and to provide opportunities for researchers to identify new domains to expand into and new tools to use. Ghent University and DTU are joining forces to make PBM 2018 an open platform to share population balance model research with a high scientific quality, interesting applications and new significant developments. To achieve all this, we are providing flexible registration fees and incentives for young researchers, aiming for an attractive scientific program, world-wide participation and high industrial participation. We hope you are encouraged and look forward to hosting you at PBM2018. 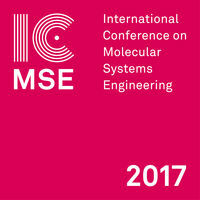 From August 27 to 29, 2017 NCCR MSE is organizing the first biannual International Conference on Molecular Systems Engineering (ICMSE) in Basel. The ICMSE is a unique event in the emerging field of molecular systems engineering, and has the potential of leading to a long-term paradigm shift in molecular sciences. The three-day conference will be held at the University of Basel (Kollegienhaus, Petersplatz 1). The International Conference on Molecular Systems Biology (ICMSB) is the oldest running conference on biochemical systems theory and modelling. This edition dedicates sessions to modeling in biotechnology, synthetic biology and biomedicine, as well as to multiscale modelling and noise in biological systems. Metabolic Pathway Analysis (MPA) 2017 will be held July 24-28, 2017 at Montana State University (MSU), Bozeman. The MPA conference series is one of the preeminent international meetings for the scientific community analyzing the topological structure-function relationships of metabolic networks. MPA 2017 will focus on computational approaches to decode biological principles found in ‘omics’ data sets and will span the gamut of fundamental and applied biology including biofuels, photosynthesis, multicellular systems, environmental nutrient cycles, and human health. The MPA conference series integrates a highly interdisciplinary group of international biologists, computer scientists, engineers and mathematicians for formal and informal discussions focused on state-of-the-art advances in metabolic network analysis methodology, theory and application. MPA 2017 will be the sixth conference in the biennial conference series and will be the first MPA conference held in North America. The IFAC World Congress is the forum of excellence for the exploration of the frontiers in control science and technology. This Congress is attended by a worldwide audience of scientists and engineers from academia and industry. It offers the most up-to-date and complete view of control and automation techniques, with the widest coverage of application fields. 22–24 May 2017 Himmelfahrtstagung "Models for Developing and Optimising Biotech Production"
The "Himmelfahrtstagung" – a 3-day annual conference happening the week before Ascension Day – is the main event for Bioprocess and Biochemical engineers in Germany. Special features of this conference are the high number of participants form industry, an open culture of discussion amongst the participants as well as sufficient time for the scientific exchange. The conference is organized by the Biochemical Engineering working party of DECHEMA – Germany’s Society for Chemical Engineering and Biotechnology. In 2017 the event is co-organized with the Measurement and Control of Bioprocesses working party of DECHEMA. Computational and engineering methods are at the core of systems biology, synthetic biology and systems medicine. The integration of quantitative data from a variety of sources together with model inference and analysis techniques as well as control theory have proven valuable to decipher biological systems ranging from intracellular mechanisms to human disease. Please check the link for all informations. 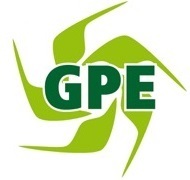 GPE 2016 is the 5th International Congress on Green Process Engineering. The first four congresses have been extremely successful (Toulouse in 2007, Venice in 2009, Kuala Lumpur in 2011 and Sevilla in 2014) and have attracted between 200 and 350 participants from academia, industry, and research organizations from around the world. A similar success is expected for the fifth International Congress on Green Process Engineering. The proposed venue is the Fairmont Hotel in Mt. Tremblant, Quebec, Canada, a superb mountain resort location provides an environment favoring knowledge exchange, networking, the generation of new ideas, and the acceleration of applications that will benefit society. The conference will overview the most recent developments in desalination technology, its cost and extent of application, including socio-economic and environmental issues. It will bring together research scientists, decision makers, managers, design engineers and operators from water companies, industries, government departments, consulting firms, research institutes and universities. The place of industry, research and government decision making in this booming market will be addressed. InGEC & EmHyTeC 2016 aims to disseminate the latest research results in Mediterranean region with special regards to South Mediterranean emerging countries where RES and Hydrogen technologies could play a fundamental role in social and economic growth. The symposium will offer you a platform to learn about the latest innovations in the field of purification techniques. The covered topics will range from discovery to process development and to industrial applications. The latest advances in process modelling and innovative processes will be highlighted, keeping the regulatory, environmental and economic aspects into consideration. Recent progresses in the field of stationary phases will also be a topic of the programme, as well as the new trends in membrane, extraction and other purification technologies. Workshops will be proposed on the opening day, Sunday October 5th with the participation of worldwide experts who will share their experience and give you an overview in the main fields of Preparative Chromatography.